The Sarade Sports Boot is lightweight with a ventilated neoprene exterior and UltraShock Proof lining. The boot provides 360 degrees of protection, safeguarding the cannon bone, tendons and soft tissue. Ventilated neoprene conforms to your horse. 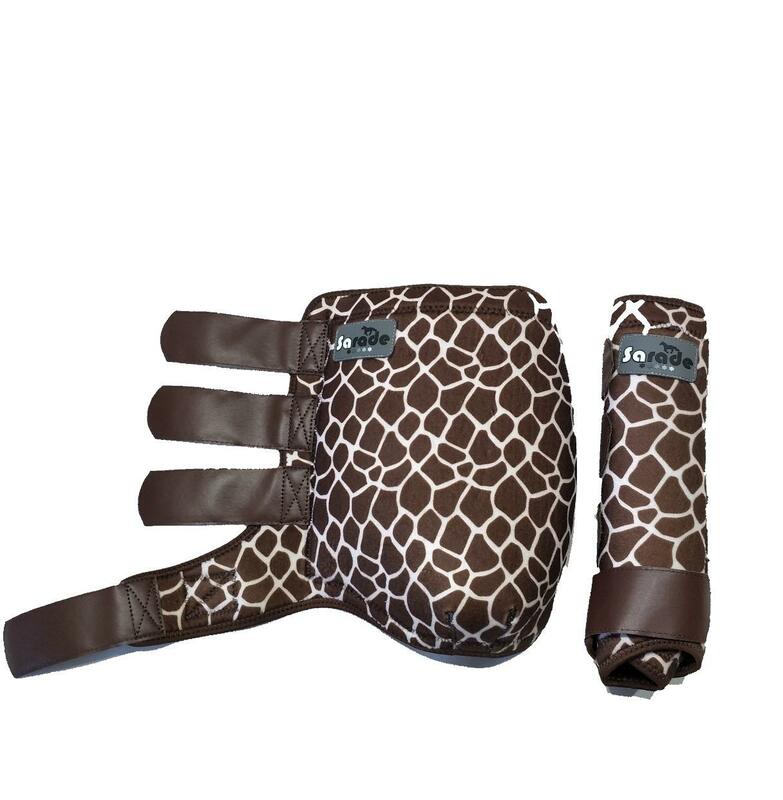 Allows heat and moisture to escape, keeping your horse cool (non-heating). Unique design allows full ankle movement, helping to eliminate hyperextension of the fetlock. Printed leg inlay enables fast allocation to correct leg. 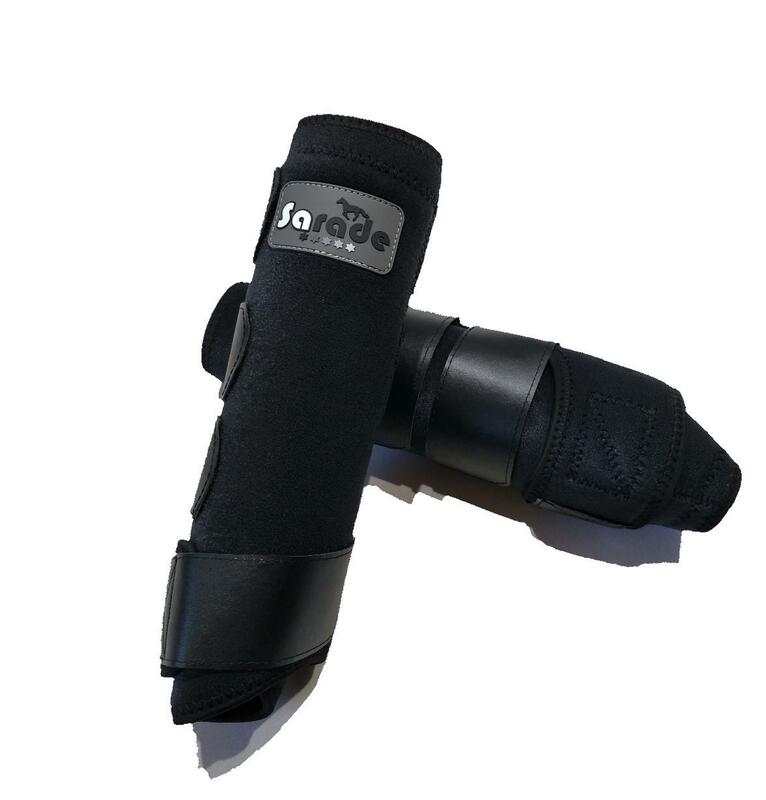 Sold in sets as equine specialists recommend even support to the mechanics of the horse during exercise. In support of your purchase a full set is priced favorably.